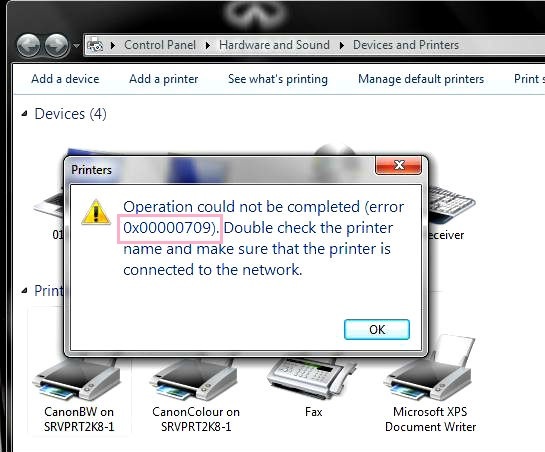 This guide will help you fix error “0x00000709 – “Can’t Set Default Printer Problem”. You can see this error in Windows 7 and 10 alike. We have currently received many complaints of users, apparently experiencing the “operation could not be completed error (0x00000709)”. Basically, this error code means that you have been unable to choose a default printer. No matter what you have done – uninstalling and reinstalling the printer’s drivers, all has appeared to be unsuccessful. This repair guide is will work on all Windows versions. Just make sure that all the steps below are completed in a careful way. We hope you will find the information below useful and your problem will easily be solved. Below is a guide with all the necessary instructions to get Error 0x00000709- “Can’t Set Default Printer” fixed in a quick and rather easy manner. Type“regedit”, then hit Enter in the “Search program and files” text box. This box appears right after you hit the Windows “start button” in the lower left section of your desktop. 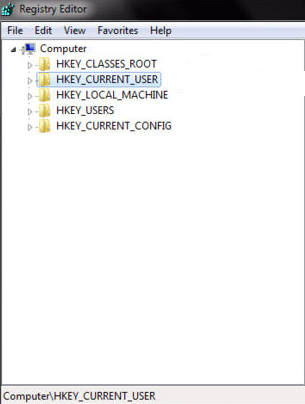 The following step is to select the “ hkey_current_user ” on the left in the Windows registry editor. After that, choose “Software”. The following choice you have to make is “Microsoft”. Finally, choose “Windows NT”. Still being under the “Windows NT” entry, the “Current Version” is your next choice. The following one is “Windows”. At that point, in the right-hand pane you should see an entry called “Device”. In case the value for “Device” is something different from the printer you want to make default, you should highlight “Device” with the mouse. After that push the Delete key and remove it. Reboot your machine. It should be restarted with the changed Windows System R.
As soon as your Windows desktop comes up again, you should be able to reach the “Printers” section. From there you should be able to set your printer as the default one. The error message that had up until recently been bothering you should never appear on your screen again. The opportunity to designate a default printer is very useful and could really spare you a great amount of time in the long run. You save time by NOT having to choose your destination printer every single time you want to use one. It will already be designated and set to be the default one. You should also remember that Windows is not to be blamed for these errors. Actually, it’s the printer manufacturer’s job to deal with the corrupted entries in the Windows system registry when a user ventures into uninstalling their software. Nevertheless, getting such an error fixed is not the most complicated task. You just have to be extremely cautious and NOT alter anything else while making your changes. Changing something by mistake might result in very serious problems with your PC. Hopefully, this information has been helpful and you have dealt with this error via using our guide. If you have other successful solutions in mind, please use the comment section to share them with us. We will be glad to update our guide with them and make them available to all the users that may possibly need it.